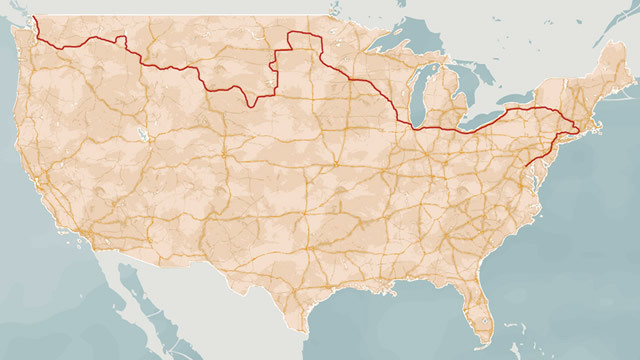 The Healing Totem Pole's 21 day journey from Semiahmoo, Washington to Bethesda, Maryland. The healing totem in the National Library of Medicine’s herb garden began its year-long journey in 2010, with the selection of a 500-year-old red cedar by Master Carver Jewell Praying Wolf James. James, a member of the House of Tears Carvers of the Lummi Indian Nation in Bellingham, Washington, used a combination of traditional and modern techniques to carve and paint the 20-foot totem. Following a blessing at the historic Lummi village site of Semiahmoo, the finished totem was transported across the United States, with tribal blessings on numerous reservations along the way.You can witness each of those blessings and visits in the following videos recorded at events all along the way. At the end of the trip, the healing totem was erected as part of a traditional Lummi blessing ceremony in front of the National Library of Medicine in October 2011.